Get the answers you have been looking for. As you or a loved one ages, you may have questions about what to expect. The more you learn about aging, the more you can plan for the future. Older adults face many health changes. Some of these changes are inevitable, but others can be prevented by adopting a healthy lifestyle. 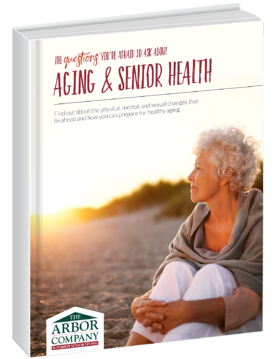 With this e-book, you can learn what changes lie ahead and how to prepare for healthy aging. General health changes that come with aging. How to adopt a healthy senior lifestyle. Next steps you may need to take to plan for the future. Use the form the the right to download your e-book now!